If you’ve ever setup a WooCommerce store, you’ll know that, despite what it says on the box, it’s far from being a “free” e-commerce solution. There’s almost always a number of core extensions you need to purchase to get the kind of functionality you want and the cost of these premium plugins can leave you feeling very light of pocket indeed. Since WordPress itself is such an open and amazing community, there’s quite often free solutions for a lot of the features you’re after from your WooCommerce store. In fact, on the WordPress.org plugins repo alone there’s an incredibly inspiring 1,000+ plugins available that are centred around the lovely world of WooCommerce (and thats just scratching the surface). With this in mind, we’ve pulled together the most comprehensive list of free WooCommerce extensions for 2015 that is sure to put a smile on your face and your wallet back in your pocket. There’s some real gems in this list, but if you have any others, please feel free to add yours to the comments. Helps you customize WooCommerce without writing any code! Supercharge your WordPress WooCommerce site with these awesome powerful features. This plugin adds the possibility to upload a file after an order is completed and attached it to that order. YITH WooCommerce Wishlist add all Wishlist features to your website. Needs WooCommerce to work. Finally, a Point of Sale plugin for WooCommerce! Sell online and in your physical retail store – no monthly fees, no need to sync inventory. Allow the customers to choose an order delivery date on the checkout page for WooCommerce store owners. Adds a ‘confirm email address’ field to the WooCommerce checkout page. Extends WooCommerce giving you the option to display accepted payment methods via widget, shortcode or template tag. Adds discounts on specific payment methods in WooCommerce. You can skip shopping cart page and implement add to cart button redirect to checkout page or you can redirect to other existing page. A WooCommerce plugin that add an extra fee to customer order based on conditions. Extends the basic functionality of WooCommerce reviews and add a histogram table to the reviews of your products. Set Product Page Rules, Hide Add to Cart, Show Email Inquiry, Filter Rules by Roles for logged in users. 100% Mobile responsive Email Inquiry form! This plugin extends WooCommerce by allowing a custom product tab to be created with any content. Customise the appearance of product archives in WooCommerce. Enhances the WooCommerce sale badge by displaying the total saving a customer will receive. Customise the appearance of the product details pages in WooCommerce. Displays a ‘new’ badge on WooCommerce products published in the last x days. 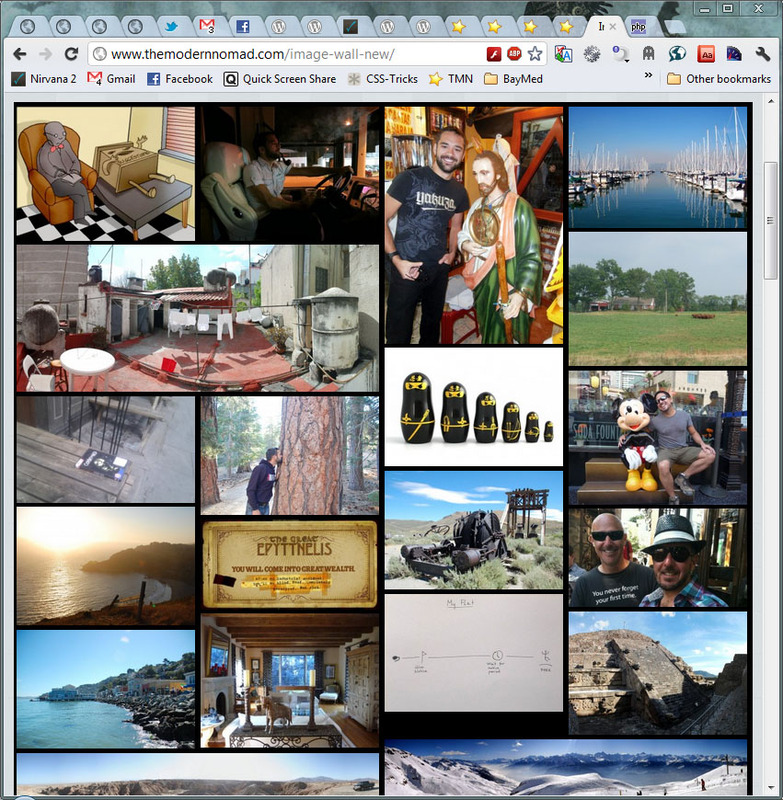 Allows you to display all the images you have attached to a product in a new tab on the single product page. WooCommerce Catalog Enquiry is a catalog plugin – it allows the user to convert a WooCommerce store into a catalog website in a click. Bring your product pages and presentation alive with WooCommerce Dynamic Gallery. Beautifully. YITH WooCommerce Ajax Product Filter offers the perfect way to search among all the products of your shop. This plugin adds a widget with customer account information to your WooCommerce shop. WooCommerce RRP allows users to add text before the regular price and sale price of a product from within WooCommerce General settings. YITH WooCommerce Compare allows you to compare more products of your shop in one complete table. WooCommerce Products Per Page is a easy-to-setup plugin that integrates a ‘products per page’ dropdown on your WooCommerce pages. WooCommerce comments and discussion Tab. Allows your customers discuss about your products, vote for comments and share. Product Enquiry for WooCommerce allows prospective customers or visitors to make enquiry about a product, right from within the product listing page. Extends WooCommerce to allow for the asking, answering, and viewing of FAQs in a similar experience as on eBay. Provide special pricing to wholesale customers in WooCommerce. This plugin allows you to set up minimum purchase rules for products in your store. Purchases must meet these rules to proceed to checkout payment. Dynamic Pricing, Wholesale Pricing, BOGO Deals and more – Pricing Deals can do any kind of deal you can think of! Apply fine-grained bulk discounts to items in the shopping cart with this WooCommerce extension. Gift Cards for WooCommerce allows you to create gift cards that your customers purchase on your site. This plugin for WooCommerce lets you select the available shippings for each individual product. WooCommerce Advanced Free Shipping is an plugin which allows you to set up advanced free shipping conditions. Plugin for fixed rate shipping depending upon the cart amount in WooCommerce. Allows your customers to Autocomplete billing and shipping address in checkout page with google places API. Adds full Right-to-left (RTL) support to the Admin Area & Front-end of WooCommerce. Extends WooCommerce to become a legally compliant shop for german market. WooCommerce für den deutschen Markt – vorzertifiziert durch Trusted Shops. Add (m)qTranslate support to WooCommerce. This plugin extends the WooCommerce shop plugin for Japanese situation. This plugin extends WooCommerce by setting sequential order numbers for new orders. Easily post status updates on your WordPress site and send automatic email notifications to customers when the status of an order changes. The free multi-vendor plugin for WooCommerce. Now you can allow anyone to open a store on your site! Generate and send PDF invoices and shipping list documents for WooCommerce orders via email. List products from WordPress on eBay. The easy way. This plugin adds useful admin links and massive resources for the WooCommerce Shop Plugin to the WordPress Toolbar / Admin Bar. Automatically generate WooCommerce product SKUs from the product slug and/or variation attributes. 10x productivity gains with WP e-Commerce & WooCommerce store administration. This plugin adds the possibility to print shipping addresses on your DYMO label printer. Automatically or manually create and send PDF Invoices for WooCommerce orders and connect with Dropbox, Google Drive, OneDrive or Egnyte. Adds a button in TinyMCE editor allowing use of WooCommerce shortcodes. Beautifully. Simple and flexible MailChimp integration for WooCommerce. Adds a checkbox on checkout page for your customers to subscribe to your MailPoet newsletters. Send intelligent emails based on customer purchase history. Recover abandoned carts, send targeted newsletters, order follow ups and more. Allows you to send a reminder to customers with an invitation to do a review of the items purchased. Gives you the ability to export into CSV file all your wooCommerce customers and orders in one click. This Plugin is an extension to WooCommerce and enables users to bulk import photos, which are automatically converted into Products. An essential feature for WooCommerce shop to export customer’s billing emails from admin panel. The post was updated in June 2017. We removed a couple of plugins that are not available anymore. Josh is a WordPress developer, consultant and author of a number of popular plugins, including a set of WooCommerce wholesale plugins that help store owners sell to wholesale customers. He has been working with WordPress for over 8 years. Apart from the WordPress plugin repository, there are other ways of searching for free WordPress plugins, here are some of them. Great list and I found some great new ones I didn’t know about. This is absolutely helpful links. Thank you very much. thanks for this! Very useful. Thanks for adding our plugin in this list. BTW we remove our plugin from wordPRess.org plugin directory and move it to our self hosted site, so please replace the link. We are really appreciated for this share and thanks everyone who are using our plugin. Themology, I’ve gone ahead and replaced the link for you too. One of the best list i have found for Woocommerce, i’m just started working on woocommerce and this list made my work so easy and smooth. many thanks. Can you send one page shoping plugin. You share with us around 80 Free WooCommerce Plugins and in 2016 still effective. But mostly I like the following Free WooCommerce Plugins. Thanks a lot for sharing this content with us and that is really effective and valuable. Hope so we wil get most valuable content in next time. With woo-commerce slider plugins , you can place a slider on your store as well as WordPress page as per you wish . You can define the number of products you want to show in the slider as well as place the Add to Cart button on a product slide . But for this you need most active and effective woo commerce slider plugins and some of them are narrated here . Any way i convey thanks a lot to author for sharing such important topic here with acceptable information . Oh so useful! I am sure I will be using some of these for 2016! Thank you very much Josh! Will be sharing to Pinterest and Twitter! Anyone know what happened to WooCommerce Poor Guys Swiss Knife? It seems to have disappeared from the repository, and I don’t see any explanation of what happened. I noticed this too.. Lots of sites refer to this plugin but it doesn’t appear to be available anymore.. This is pretty recent because I did see it in the repository a couple of months ago. When I was searching around a while back, I think I ran across a place to download it, but it seemed a bit fishy to me… and since it it isn’t in the repository and I can’t find any explanation why, I’m kind of wary to use it at this point. great list thanks – a lot of things to work towards. It essentially lets you create credit packages which customer buy, then use/redeem credits towards products in your store – very similar to how iStock.com and other credit based sites work. is not available at the given link please provide the new one if possible. I’d be very careful at this point too, unless something is heard from the original author, or a reputable WP community member takes it over. I’ve seen it posted places, but not anywhere I’d trust. Great list! A few weeks ago I also wrote about the best WooCommerce plugins for 2017. The WooCommerce Sync https://goo.gl/FvxPHc is a must for anyone who uses QuickBooks Online! My favorite plugin is “Woocommerce Force Product Shippings” In your store you can have a lot of products but some of shop items /products may be needs only one or few specific shipping methods : So using this plugin simply the shop admin can force the shipping method for the single product by checking the desired shipping method in the product backend . Force External shipping methods as (DHL , Fedex , UPS ,USPS, Roal Mail , Australian post , Canadian Post or many others) and Default Woocommerce shipping methods . Amazing! These plugins are looking really helpful for woocommerce. WooCommerce POS is one I liked the most in all these and also thinking to use it. Great List! Thanks for sharing the list of best woo-commerce plugins. Nice list. Really helps to run the store on daily basis. Next Entry: WordPress Themes Giveaway: Get 120+ Steaming Hot WordPress Themes for Free!